There are plenty of things a homeowner can do or have done to waterproof his or her basement from the inside, but that doesn’t mean the outside should be neglected. For a foundation and basement walls to be completely waterproof, you need to cover all the bases. Outside foundation and basement waterproofing require excavation around the site where the issue likely is or excavation around the perimeter or along more than one length to set up a drainage system. If there is a crack on the outside, it needs to be properly sealed before proceeding with any drains. The person you hired should apply a waterproofing product to the walls. He or she also may put up dimple board. A dimple board is a plastic sheet that helps protect the waterproofing product and direct sediment downward. Another option is a waterproof membrane sprayed onto the foundation. The membrane is flexible but also should be protected by dimple board. Once the cracks, support, and any other issues have been addressed, it’s time to move on to installing a drainage system, of which there are different types. Most drainage systems work best on the home’s interior, but there are a couple of simple ones specific to the outside of the home. French drains may or may not include a pipe. Essentially, it is a sloped trench with a layer of gravel at the bottom. The gravel may cover a pipe, but a traditional French drain does not have a pipe. The trench or pipe should empty out into an area that can handle the water influx. This very simple drain works on the premise that if your land slopes downward, gravity will do the work in pulling water to the desired location. A tunnel contains a flexible hose leading from the foundation. The water flows through the hose to empty away from the foundation. Gutters are essential parts of draining rainfall and melting snow away from a home. To work correctly, gutters should be installed at a slight slope so the water runs in the desired direction toward the downspouts. Keep gutters free of leaves and twigs via regular maintenance or adding gutter covers. You probably know gutter downspouts should be angled away from your home, but you might not know they also should be emptying several feet from the foundation. Downspouts should empty at least four feet away from the house. Farther than that is even better. Landscaping also affects how and if water drains away or toward your foundation. All land should be graded. This means it should slope downward slightly from the house so moisture travels away from the foundation. Water trapped in the soil makes it expand, which in turn presses against concrete, possibly cracking it. Water also can shift the soil under your home, which shifts the foundation itself. Do not plant trees or bushes right next to the foundation. Growing roots will disturb the soil and they may impede water from draining. Plan for roots when thinking about landscaping. Plant trees that will grow to be large several feet from the house. At Acculevel, we know a thing or two about internal and external drainage systems — we’ve been in the business of waterproofing basements and foundations in the Midwest since 1996. 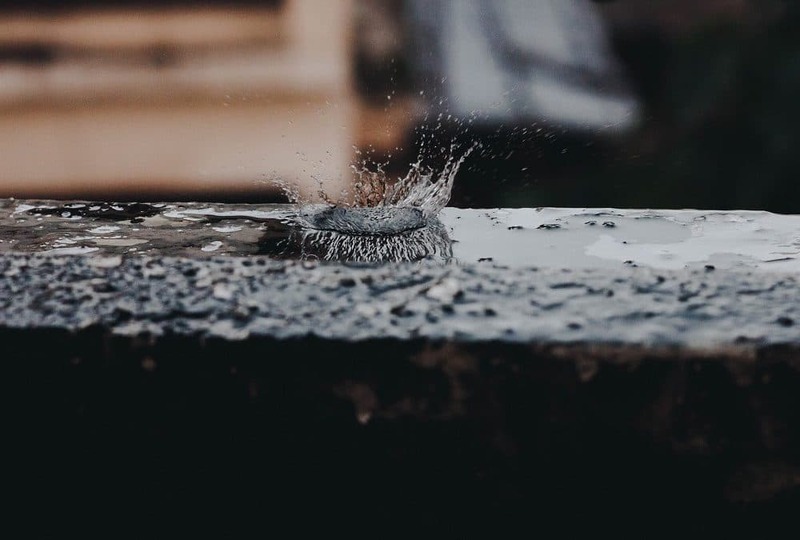 Our experts can determine where water is affecting your foundation, and we have the experience and skills to address the issues. We’re more than happy to avoid digging up your yard, so if the best drainage solution is an internal one, we’ll tell you that. We believe in being honest and upfront with prices and what needs to be done. We never do unnecessary repairs. If you live in the Midwest and would like to schedule an appointment for a free estimate, please call (866) 669-3349 or email [email protected].